Insurance is not a commodity. 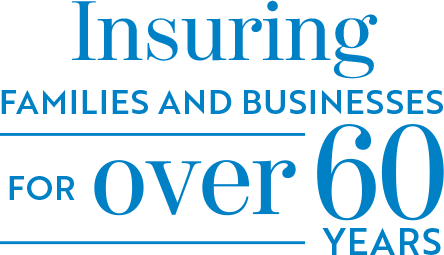 As your insurance consultant, with over 60 years' experience, we represent the country’s leading insurance carriers. We are the kind of people you can depend on, a firm of proven, caring and conscientious professionals. We are dedicated to a higher standard of excellence and seek to establish a firm relationship of mutual trust and service. Our goal is to find the right balance of coverage and insurance costs. In partnership with a multitude of insurance companies, we are well qualified and committed to producing a tailored insurance protection plan that offers quality products & services to meet your Personal, Business, Life, Disability and Employee Benefit needs. From Cyber to Workers Comp to Property, we provide superior advice and consultation so you can make the right decisions for your business. Protect your property with the appropriate insurance products. From Auto to In-Home Businesses, we provide a high level of consultation and advice. Term, Permanent, Disability, and Long Term Health Care, our well educated advisors help you make the right decisions based on your life and family/business needs. Helping you navigate the ever changing waters of Group & Key Employee Benefits to protect your valuable employees with competitive coverages & pricing. Our superior consultative approach helps you achieve the right balance of coverage and cost. We are a team of diversified, knowledgeable insurance professionals. In Partnership with a multitude of insurance companies, we are qualified and committed to producing a tailored insurance protection program to meet your needs. Our pledge is to provide you with professional and dedicated service. Not all great things in life come to you every month... But our magazine does! My family and I are long time personal and business clients of Petschauer Insurance. We sincerely appreciate your responsiveness and the quality of service that Petschauer provides. We have recommended your company to others because of our satisfaction with your service. We look forward to doing business with you for years to come. From the first time I spoke with Lori Halloran at Petschauer Insurance, I knew she was a special person. She is a woman that conducts herself professionally, with compassion and full knowledge of all types of insurance Petschauer has to offer. While speaking with her, as she explained and answered all of my questions, I felt like I was speaking with family…which is another way to describe this company. She has a way of making very confusing decisions so simple and easy to understand. I even added another insurance policy to my two renewal policies because of her. My last renewals could have been processed via mail but I really wanted to take the time to drive and meet this wonderful woman face to face. She greeted me with this huge beautiful smile, which matched her personality perfectly. So, I just had to go back another time just to say “Hi” and bring her flowers in appreciation for all her help and also celebrate a new friendship. The Petschauer “Family” has been there for me since my first policy when I was 19 years old, and now I’m a “senior”. I’ve been with them forever and don’t plan on going anywhere else. Thank you, Lori, for your dedication and to the rest of the Petschauer staff. Quality attentive service is hard to find, but at Petschauer Insurance that’s what you can expect from their always friendly staff. It’s what we’ve experienced for all these many years. John from Forest Pork Store Inc.
Petschauer is great. I never had a problem. They always call me back. Fabulous employees who are always willing to help. I have been with Petschauer Insurance for over twenty-five years. The staff is knowledgeable and professional. Petschauer writes both my personal and commercial insurance and they provide excellent counseling. I truly trust the firm and their staff. Thank you. I have worked with various individuals at Petschauer and have found each to be responsive, courteous, and thoughtful. Each year, the contact for my auto policy proactively seeks new bids and has consistently saved me money on my policy. Spence-Chapin has had the pleasure of working with the wonderful John Petschauer, Inc. for 15+ years. They have always provided excellent service to us–with great knowledge, expertise, and patience — even in the most challenging situations. There has not been one time when they have not been immediately accessible to us, even at a moment’s notice. We thank them for their work and celebrate their 60th anniversary, while looking forward to working with them for another 60 years and beyond! My company has called on Petschauer Insurance for many years for its insurance needs: liability, liquor, auto, etc. Working with Erwin and his team has been a pleasure from beginning to present. They are quick to answer any question and provide sound advice. I have always felt that my and our needs are important to them, in theory and practice. They go the extra mile, and we continue to be well served. Stephen Kennard from Canard Inc. I have been with Petschauer Insurance for a long time. 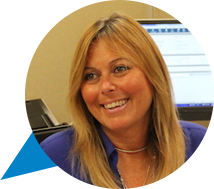 My account executive Lori Halloran is like family to me: she is always there when I need her and is very knowledgeable and understanding. I wouldn’t go anywhere else for my insurance needs.